Enhance your bathing experience with the gorgeous – and incredibly practical – Square Swivel Bath Spout. This sophisticated spout will help redefine the comfort and luxury level of any bath – all in a single, affordable unit. 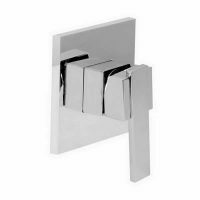 The Square Swivel Bath Spout is suitable for any bath and has been clearly designed to offer easy installation. Builders, plumbers and DIY enthusiasts will have no trouble installing this unit. 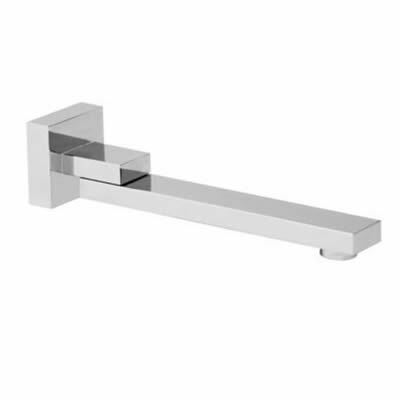 This tap is sure to add a modern touch to any bathroom it is installed in, with its sleek, elegant design and a stunning chrome finish. 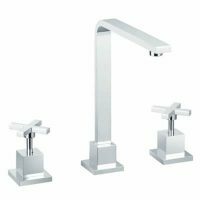 Moreover, this bath tap is incredibly durable. It features solid brass construction, which makes it highly sturdy and long lasting. It also makes use of quality internals. This quality workmanship is backed by impressive manufacturer’s guarantees as well. This includes 5 years on Tap body, 2 years on cartridge, 1 year on chrome finish and 3 months on O-rings and Washers. Don’t wait another day. Redefine your bathroom today by investing in the Square Swivel Bath Spout. Buy this gorgeous product online from us at Ross’s Discount Home Centre and take advantage of our free deliver across Perth Metro!